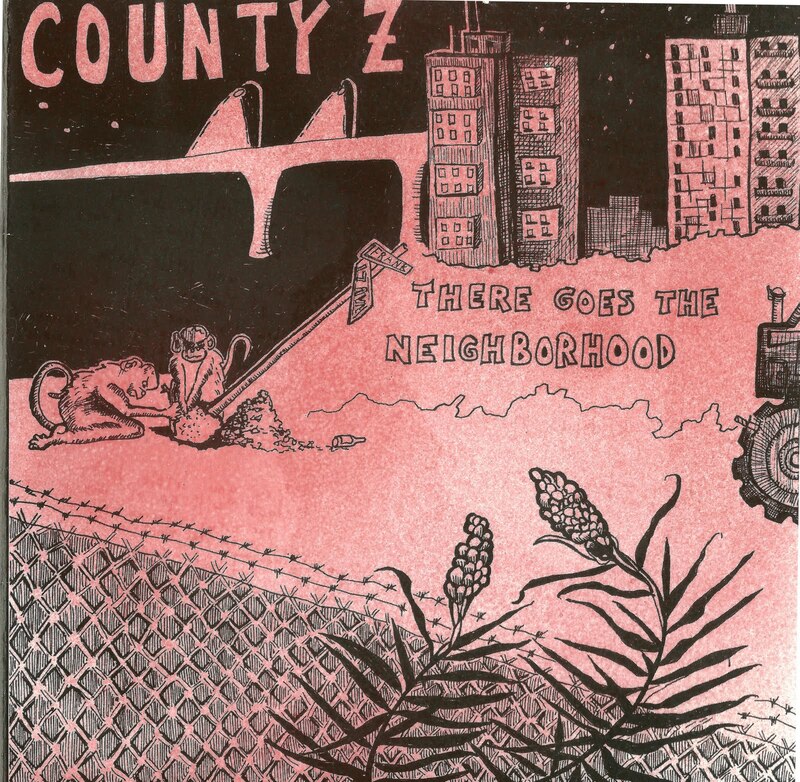 This is second record from County Z, released as a 7" in 2002. A total Minneapolis classic. Members went on to play in Rotten Living, Mother of Fire and many other projects. Recorded by Don Godwin on an eight track reel to reel at Marla's House Recording in New Orleans, LA. Art by Naomi. Naomi: Vocals, violin on "You Wear it Well", Cello on "There Goes the Neighborhood" and Guitar on "The Monkey"
Don Godwin played guitar on "You Wear it Well" and "There Goes the Neighborhood"